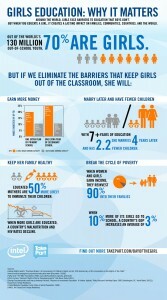 Ninety million girls around the world are denied access to education. 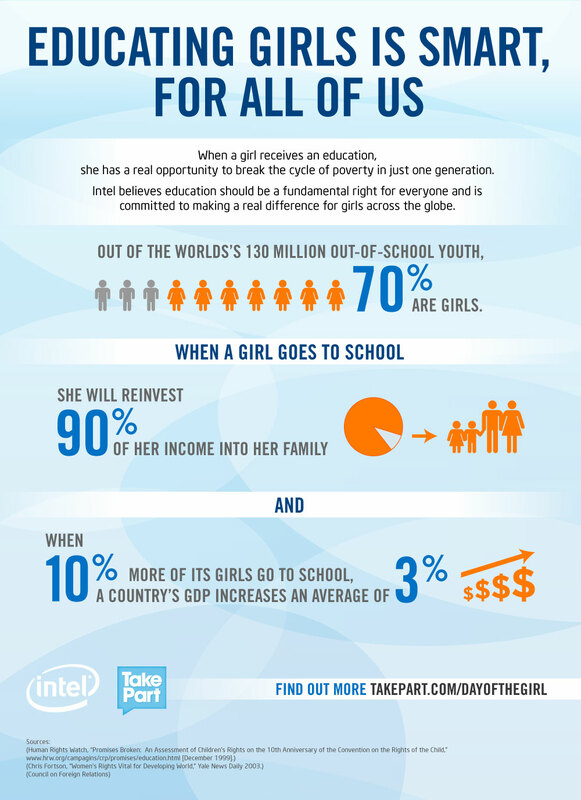 Intel believes that education should be a fundamental right for everyone, as it not only provides a foundation for a successful future, but it breaks the cycle of generational poverty. When educated, girls and women become powerful catalysts for global progress and economic growth. One additional year of primary education alone can increase their future wages by 10 to 20 percent, while an extra year of secondary school adds another 15 to 25 percent. Research shows that educated women reinvest 90 percent of their income into their families, proving that the impact of an educated girl or woman can be exponential and far-reaching. Intel recognizes the major role technology plays in not only improving the quality of education, but also improving access to education. Through its programs like Intel Teach, the Intel International Science and Engineering Fair, the Intel Computer Clubhouse Network, Intel Learn and Intel Easy Steps, Intel is increasing its emphasis on girls and women. When given the opportunity to learn, girls and women will contribute to a better world for everyone. Blog: So What Does Girls’ Education Have to Do with Musical Pumpkins? 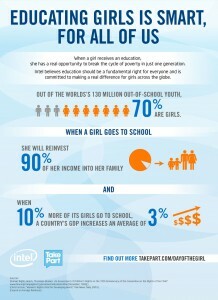 10×10 – Educate Girls. Change the World.